Fruit is a big part of snacking in our house and lately we have been consuming watermelon, grapes, cantaloupe and honeydew. We were in the mood for something different so we decided dessert would be my daughter’s mission. 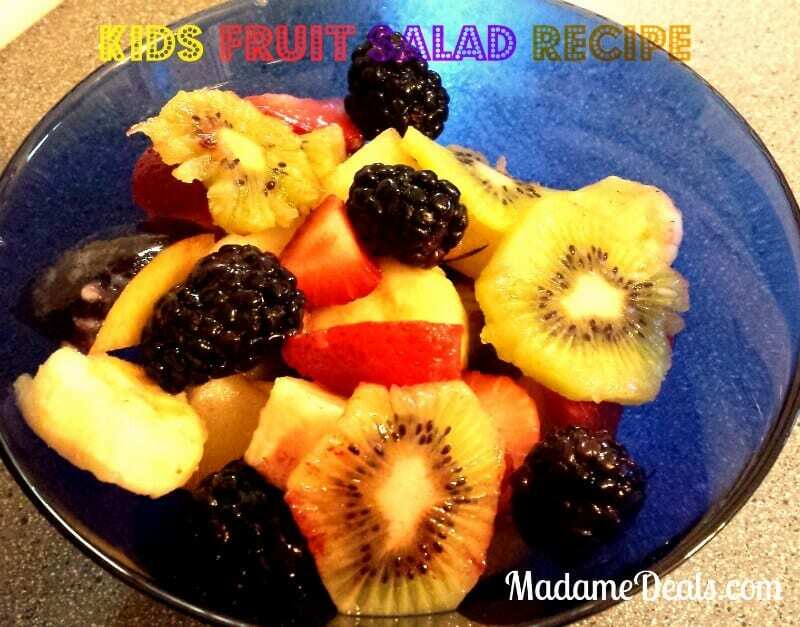 She decided to make a kids fruit salad recipes. I told her I would give her a budget and she had to stick with it. We visited our local specialty grocer, so the prices were a little higher than the local Krogers or Meijers,so her budget was $10. She carefully watched the prices and even thanked me when I noticed clearance bananas. They were on sale for 19 cents a pound vs. the 59 cents regularly. She was disappointed there were no other fruits on clearance and that they were not on sale, yes she is my daughter. When we came to the apples and plums that were sold by weight she set her limit at 1 pound and weighted them to make sure she wasn’t over. She realized each plum was 1/2 a pound and quickly put 1 of the 3 she had bagged back. 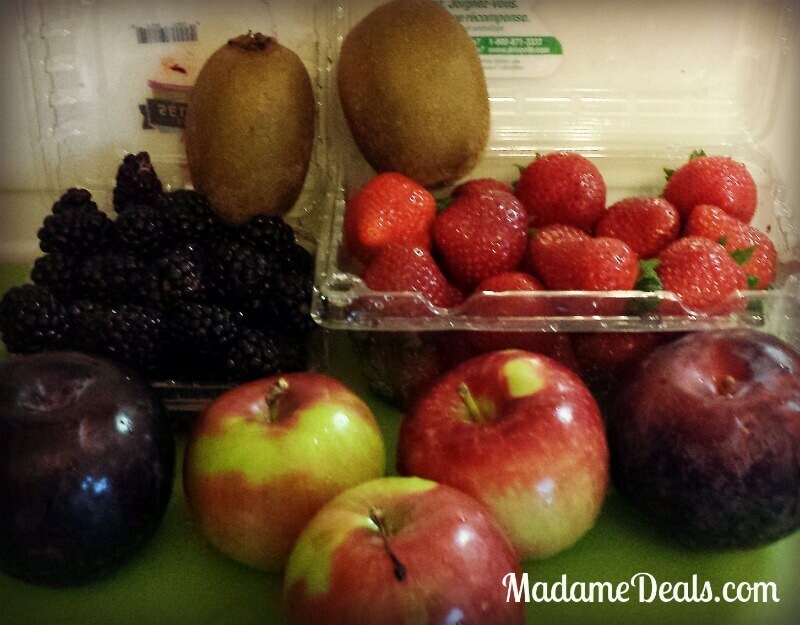 Her final purchase included 3 apples, 2 plums, 16 oz Strawberries, 16 oz Blackberries, 4 bananas, and 2 Kiwi. I easily slice and dice these fruits with the following kitchen gadgets. Get inspired to start cooking with your kids with our Recipes Kids Can Make! 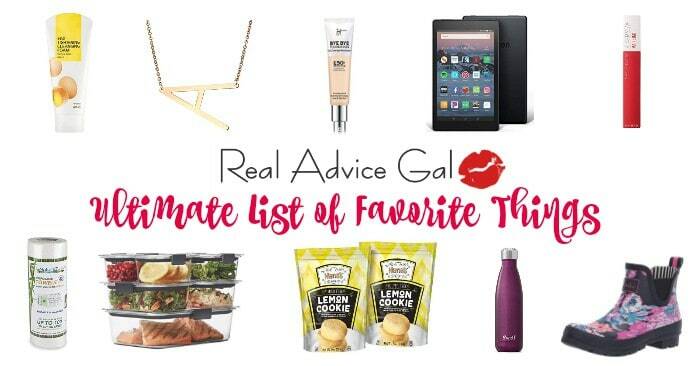 Find out what we are eating this week with our Menu Plan! Save on a Dual Food Processor/Blender!